Conversely, if your adrenal glands become depleted by chronic stress (as in adrenal fatigue), they may not be able to maintain adequate cortisol levels to sufficiently sustain energy and stimulate nutrient metabolism for optimal tissue growth, repair and protection. With both high adrenal function and adrenal fatigue, a stressful life can be detrimental to your ability to grow healthy new tissues. Managing your stress and making sure you get the daily nutrients necessary for cellular growth and repair can make a positive difference to how you look and how quickly you heal. 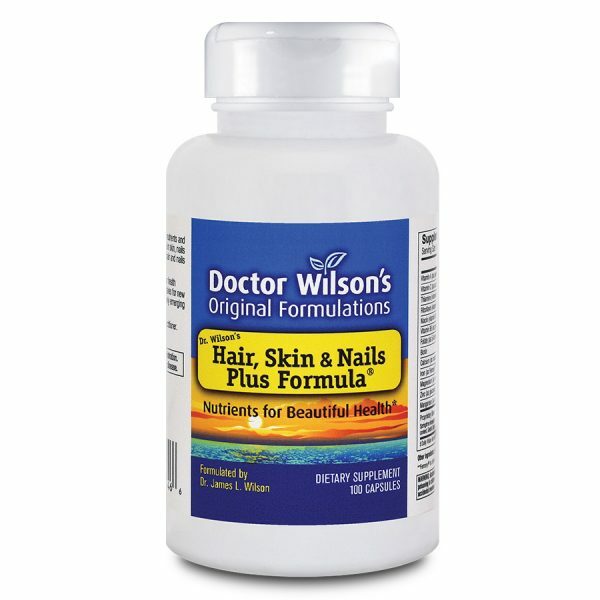 What is Dr. Wilson’s Hair, Skin and Nails Plus Formula? What does Dr. Wilson’s Hair, Skin and Nails Plus Formula do? How does Dr. Wilson’s Hair, Skin and Nails Plus Formula work? What else can I do to help protect tissue health when I’m stressed? How quickly will Dr. Wilson’s Hair, Skin and Nails Plus Formula begin to work? 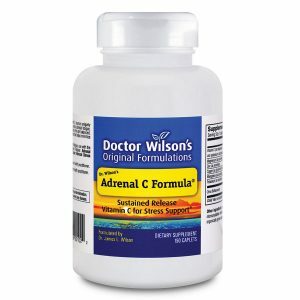 How should I take Dr. Wilson’s Hair, Skin and Nails Plus Formula? How long can I take Dr. Wilson’s Hair, Skin and Nails Plus Formula? 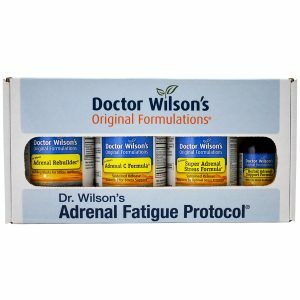 Does Dr. Wilson’s Hair, Skin and Nails Plus Formula lose its effectiveness with continued use? Who can take Dr. Wilson’s Hair, Skin and Nails Plus Formula? Can I take too much Dr. Wilson’s Hair, Skin and Nails Plus Formula? What form of iron is used in Dr. Wilson’s Hair, Skin and Nails Plus Formula? Is the quality of Dr. Wilson’s Hair, Skin and Nails Plus Formula reliable? Dr. Wilson’s Hair, Skin and Nails Plus Formula delivers bioavailable forms and optimal proportions and amounts of specific nutrients essential for healthy tissue formation and repair. 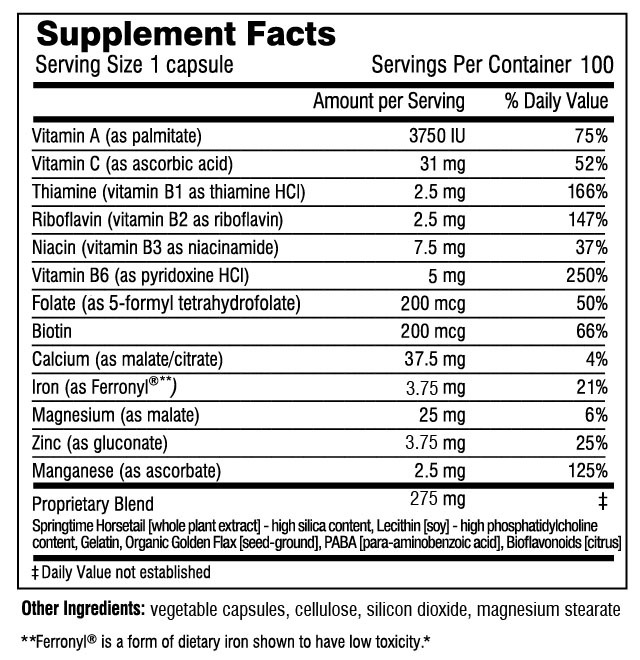 * For example, silica, calcium, magnesium, manganese, iron and biotin support tissue structure; gelatin provides building blocks for proteins used to build tissue structure; antioxidants like vitamins A, C and E, and zinc fight free radical damage to tissues. Healthy good looks do not just happen on the surface – they depend on specific nutrients delivered deep into the matrix of your body’s tissues. The keratin of hair is manufactured in the hair follicle before your hair grows out from your scalp. Once formed, your hair itself has no properties of life such as respiration, reproduction, etc. The epidermis or outer layer of your skin is the “dead” top layer whose main job is to protect the active lower layer, the dermis, from the environment. Fingernails grow from the nail bed out but your visible fingernail is a “dead” protective coat of thick keratin and minerals. Understanding that all three of these tissues are not able to reproduce or incorporate changes into their structure once they are formed makes it clear why it is important to provide the ingredients they need to be their best while they are being built. Hello, I recently purchased your Hair, Skin and Nails formula and have had amazing results!! I am simply amazed! Thanks for a great product. With my worn down adrenal and thyroid glands, my skin was extra dry and sensitive and my nails were thin and brittle. I started using Hair, Skin & Nails in the summer of 2004. The results have been great. Hair, Skin and Nails is a fabulous product that has changed my appearance for the good. I receive endless compliments. Thank you so much for developing this formula.